With over twenty five years’ experience in the global fitness industry, Joanna Hall (MSc Sports Science) is a internationally acclaimed walking, fitness and wellbeing expert. As creator & founder of WalkActive, she is an experienced media presenter and published author. With Honours & Masters degrees in Sports Science from Loughborough University, a Sports Medicine Intern from Virginia Mason Sports Medicine Clinic, Seattle, Joanna brings a wealth of knowledge and skill to the design, delivery and engagement of audiences all over the world. Joanna’s philosophy centres on delivering “Intelligent Exercise” programmes that are results driven, scientifically proven and highly effective. Her approach helps the individual to enjoy real wellbeing and fitness through movement and lifestyle changes that are accessible to all. Millions continue to use the Step Reebok fitness programmes today, originally developed by Joanna Hall and Reebok in 1989. Joanna enjoys working as an ambassador and consultant for established brands, start-ups and entrepreneurs. She is an experienced product, programme and content creator. Aside from creating the WalkActive brand and programme, her experience in this area includes developing the international fitness phenomenon, the Step Reebok fitness programme. Reebok launched Step Reebok in 1989 after comprehensive scientific and biomechanical research done in collaboration with Joanna Hall. It its first 10 years, millions of people in 16 different countries used the programme to increase fitness. Today, despite the many changing fitness trends, many millions continue to use the Step Reebok programme which has stood the test of time. Joanna is a natural communicator and motivational speaker. Her expertise has been sought widely by media including The Telegraph, BBC, ITV, LBC Radio, The Guardian, The Mail and Mail on Sunday. 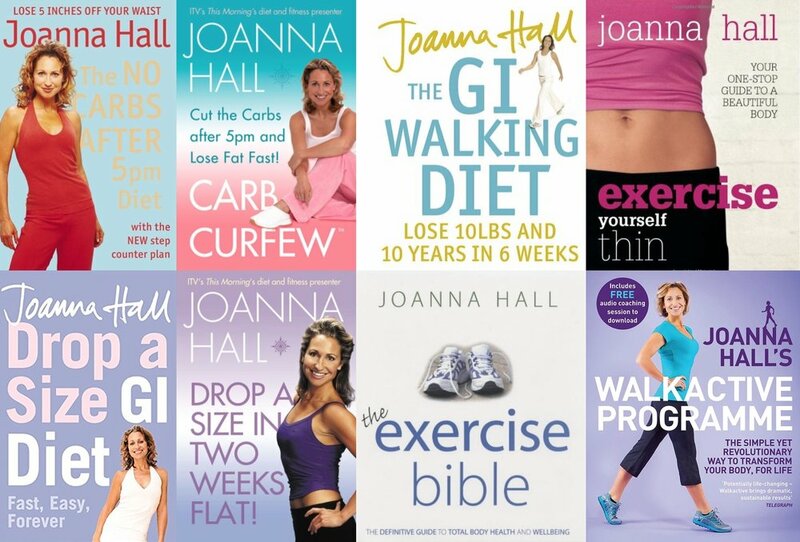 In addition to being the creator and presenter of six bestselling DVDs, Joanna’s TV experience includes resident Fitness Expert on ITV’s This Morning and Australia’s Good Morning. WalkActive is an active educational process of engaging your muscles to move with correct postural alignment, so every step you take is effective and productive. WalkActive teaches you to use the right muscles in the right way at the right time and in the right sequence so your movement is smoother and more efficient. The WalkActive system is taught in classes around the world, either by Joanna Hall or by certified WalkActive trainers, whom has each been personally trained by Joanna Hall. The WalkActive System is now used by 1000’s of people across Europe, Australia, USA and Canada. Joanna is the author of fourteen books, including Amazon Category #1 and has been a columnist for a number of magazines including The Weekend Guardian. All of Joanna’s book are available for purchase on Amazon. Over the years, Joanna has built up an impressive A list of clients who respect her expert advice and ability to provide first hand, user-friendly practical knowledge in an entertaining, educational and effective manner. Joanna provides personal training to celebrity clients and offers complete discretion. Her celebrity clients include Dido, Alexandra Burke, Michelle Collins, Ben Fogle & James Cracknell in their Polar Challenge. Joanna Hall has successfully trained over 2000 Fitness Trainers & aerobic instructors. Joanna imparts fitness knowledge to each trainer on a personal level, in a programmed course that provides tangible tools and course work that includes fitness training, business training and marketing training. For all media enquiries, including radio, press and tv, please contact Joanna via email in the first instance.